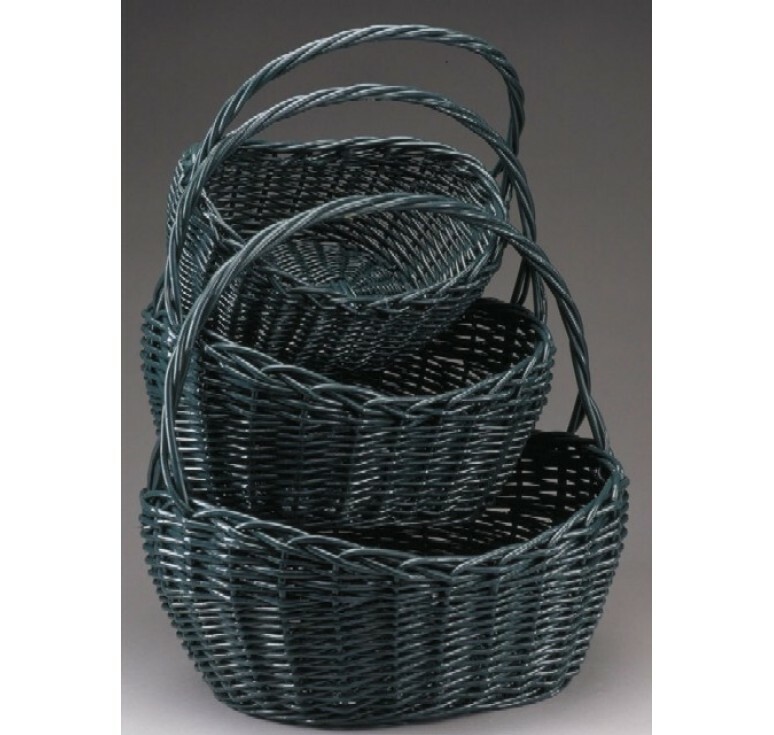 Large: 25" x 16" x 7"
Small: 14.75" x 10.5" x 5.5"
Please choose natural or painted color from the drop down list. Pictured in hunter green. Please note that painted colors will add an additional cost to each set. 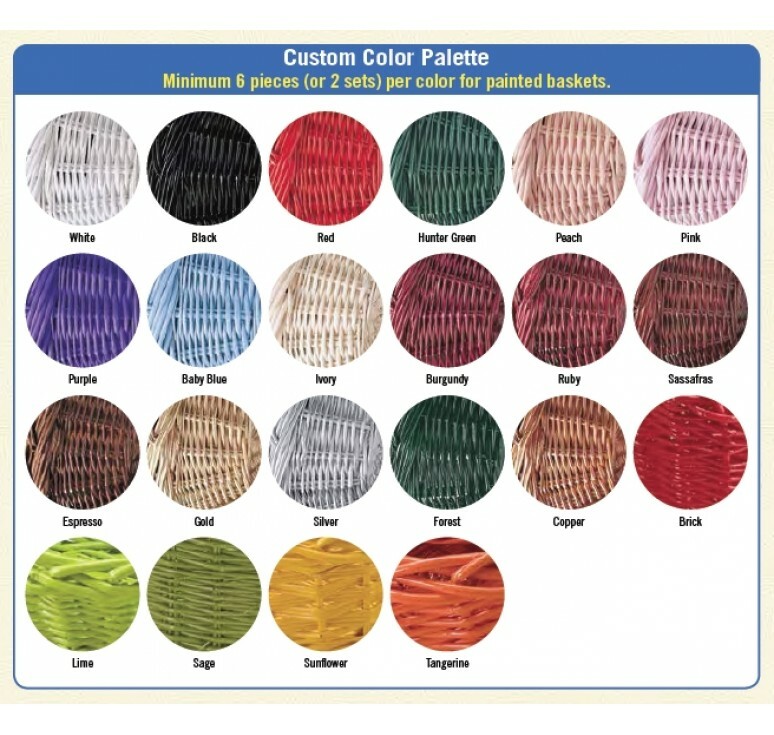 Minimum 2 sets per color for painted baskets.